Today is Leap Day!! We get one extra day every four years. So how will you spend your extra 24 hours?? Such a Sew and Sew is hosting a Leap Day Giveaway Blog Hop. Each participant is hosting a Giveaway for just one day. TODAY!! While I was looking through my quilting books, I realized that I owned TWO copies of 101 Fabulous Rotary Cut Quilts. Written by quilting veterans, Nancy J. Martin and Judy Hopkins, this book is the bible of rotary cut quilting. It contains favorite quilts from Rotary Riot, Rotary Roundup, and Down the Rotary Road. Each pattern has complete instructions on making a full size quilt. How would you like to have 101 Quilt patterns at your fingertips?? Now remember, starting tomorrow, Google Friend Connect will no longer work for blogs other then Blogger. So if you have Word Press, Typepad, or your own domain, I am enabling email subscriptions starting today. At the right hand sidebar, right under followers, there is a field where you can enter your email address and receive an email with the latest posts. You can unsubscribe at any time and your email will be kept private and not used for any other purposes than to send updates. If you sign up for email, whether you use Blogger or not, you may leave a second comment for a second entry. This giveaway will be open until 10:00 PM EST today. Please be sure I have a way of contacting you. For a couple of years, I've wanted to learn how to knit something other then knit and purl. So yesterday the quilting buddies got together and worked on a new project. One of the quilting buddies is very savvy at reading patterns. I on the other hand am very visual and have to be shown how to do something. So our patient teacher taught us how to read the pattern and how to make the stitch. For several years now, I have been eying the smaller mid-arm quilting systems. There was one particular quilting machine that always drew my attention. So last year when finances had improved, and there was a better place to set one up, I was seriously considering making the purchase. But alas, the mid-arm machine that I wanted was no longer being made! The company took the size 16 and made a sit down table. I was very disappointed. For me, this sit down table does not solve my particular quilting problem. I can quilt on my Bernina, but it has been a challenge to keep the back taunt and not pucker. If you have ever watched John Flynn quilt, he turns his machine so the smaller area is to the back. Why not try it myself. I am going to try this on different ufo's that have been waiting patiently for my attention. It doesn't really make any sense to me to buy another table when I can use my Bernina to do the quilting. There are so many new things going on. I guess by now you have probably heard about the changes with Google Friend Connect starting March 1. Google Friend Connect will no longer work on non-blogger blogs. So if you are following a blog that is not hosted by Blogger (such as Word Press and Typepad), starting March 1st, you will not see their blog in your reader or dashboard. However this does not mean non-blogger blogs cannot continue using Google Reader. It simply means that Google Friend Connect, a service that provides an easy way to subscribe, will no longer be available for those blogs. It also means that if you have followed non-blogger blogs through Google Friend Connect, you will need to subscribe to those blogs in a different way. You will need to either get Google+ or find another service to offer your readers. You'll also need to change the way you've subscribed to non-blogger blogs because come March 1st you won't see them in your reader if you subscribed through GFC! To continue following through Google Reader, simply click RSS feed and choose Google Reader. These changes make it very challenging to folks like me, who are a little computer challenged. But I really would miss you if you go away. It's sad to see blogs that I've followed for such a long time just disappear. I think there is a way to check if you are subscribed via your google reader or GFC. Here is what I read on Life. Faith. Hope. Art. "In your Google reader, there is a list of blogs you read. Near the top of the list it says 'subscriptions'… those are the ones that you have put in the address. Below that list is a 'blogs i'm following' list. Those are the blogs that you have followed by google friend connect. " Read HERE for more info. I sure hope this all works, because I really, really would miss you. Thanks so much for hanging in there with me and visiting my little blog through the years. Whew, now let's get quilting! Over the past couple of years, SewCalGal has hosted the Golden Quilter Awards. Entertainers have the Oscars, Golden Globes, Emmys, and various other awards, but she felt that we needed something unique to recognize those that have helped to make our world of quilting so special and wonderful. SewCalGal hosts this event and facilitates the process, but it is up to quilters from all over the world to submit nominations, and ultimately vote for their favorite nominees, to help identify the best of the best. Most influential person in the world of quilting to-date, aka "Lifetime Achievement"
SewCalGal has all the information on her blog so you won’t want to miss out on nominating one of your favorites. Nominations will be accepted until March 4th. Sunday, March 4th - last day to submit your nomination. Everyone is invited to submit nominations. Monday, March 12th - SewCalGal announces all nominees and voting for the ultimate winners begins. Everyone is invited to vote. Monday, April 2nd, SewCalGal announces the ultimate winners of the 2012 Golden Quilter Awards. We celebrate with a party with sponsored prizes to be given. Tuesday, April 3rd, SewCalGal announces the winners of the sponsored prizes. Talking about how we display our quilts, while visiting my BFF a couple of years ago, I was a guest in her basement apartment. She has it decorated so beautifully. One thing that stood out to me was how she uses her quilts around her home. My BFF took the top off and had her Dad make rods to fit across the frame. She now uses it as a quilt rack. It is a magical journey that starts the moment we enter the building. It provides a rush to our adrenaline and pleasure to our senses . We see beauty everywhere we step. Where to start? Do we look at the quilts first, or do we scope out the vendors for that prize piece of fabric or the latest designs in patterns. It is enough to make my head spin. Eight years ago, I attended my first major quilt show in Nashville with my two quilting buddies. We stayed at the Opryland hotel, which was hosting the quilt show. We entered the doors and could not believe how much there was to see. Rows and rows of vendors and some of the most beautiful quilts we have ever laid our eyes on. We attended two lectures given by Alex Anderson. What fun! By the end of the first day, we were on overload and headed back to our room. We brought out all of our bags and took out every item for close inspection. We would oooh!! and ahhh! with so much delight, stroking each others fabric and reviewing all of the books and patterns. For the next two days we enjoyed the euphoria of every quilting treat that was available. In the years since, I attended the Quilt Festival in Chicago, and the AQS Quilt show in Paducah. Each one has its own unique spin on the quilting community. It's what drives the psychological part of our desire to make beautiful things. Whether it is art quilts or traditional, batiks or reproduction. The mere thought of a trip to a quilt show is enough to start my exit from reality. It is a mystery that once again brings me back to the reason why I quilt. For the beauty of it, and the love of experiencing what others have created in a world of fabric. .... how do you display your quilts? It's fun to find different ways to display my quilts. There are several different wall hangers that I have used for displaying my quilts. This quilt hanger was found at a local quilt shop. My sweet sister in love gave me this bow shaped hanger one year for my birthday. Did I mention that she is a great quilter?? I love the pattern for this quilt because there is no pattern! We just got together and sewed strips, cutting them apart and sewing them back together. It was so much fun. And a great way to use up some stash. One year at Paducah, I found this wonderful hanger. I love this hanger because it does not damage your quilt in any way. It has a clever device to open the hinged pieces. It has a soft touch grip and keeps your quilts away from the wood. They come in all sizes and beautiful wood finishes. They can even add a strip of your fabric to the front panel to match the quilt that is hanging. It is made right here in the good ole US of A by Lorie's Little Quilts. They do have a website, if you are interested in taking a look. www.LoriesLittleQuilts.com. It's so fun to find something new, that will enhance your quilting and your quilts. Last summer when I visited a Quilt shop in Georgia, I fell in love with this quilt. The owner was out of the pattern but told me it was called Dolly Madison. She tried to find it online for me, but was not able to find it. Low and behold I discovered that this soft and dreamy pattern was Dolley's Garden by Bunny Hill Designs. I have always admired Anne Sutton's beautiful patterns, but as I don't do applique I've not used many of her patterns. A couple of years ago I signed up for Anne's newsletter when she offered A Tisket A Tasket as a free download. So when the email arrived letting me know there was a sale going on at Bunny Hill, I went looking for the pattern. And YES I also bought Park Lane ;-) I mean come on, it was on sale! And then there was the beautiful Lily & Will. Just had to have a little taste of this delicious fabric. And when the patterns arrived, I discovered that Park Lane is made with ONE Charm pack of Lily & Will. Woo-hoo!!! This is going to be fun! About a week ago Meggie on the Prairie honored me with this Award. I was totally surprised! Thank you Meg for thinking of me. I have so enjoyed blogging and making new friends from all over the world. 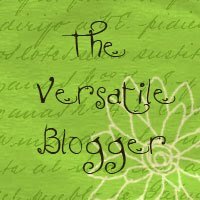 So now I am passing this Award on to the following inspiring blogs There are so many beautiful and creative blogs that it is really hard to narrow down a list. Here are some, in no particular order. and as an added BONUS award please stop in and visit Kelly at I Have A Notion. Kelly shares a lot of great information and her blog posts are always so much fun!!! Anina on the Twiddletales Blog completed her 12 Days of Christmas quilt. And this year, the quilting buddies received the panel as Christmas gifts. So we ventured to make our own version of Anina's adorable quilt. And of course we auditioned some borders. This is the first time I have used the Clover Yo-Yo maker. The size of these Yo-Yo's are extra small. But I think they will be perfect for this little Valentine's pin cushion.